That’s Schoonie and his golf hat. Sometimes it’s hard to tell whether he’s giving you the evil eye. 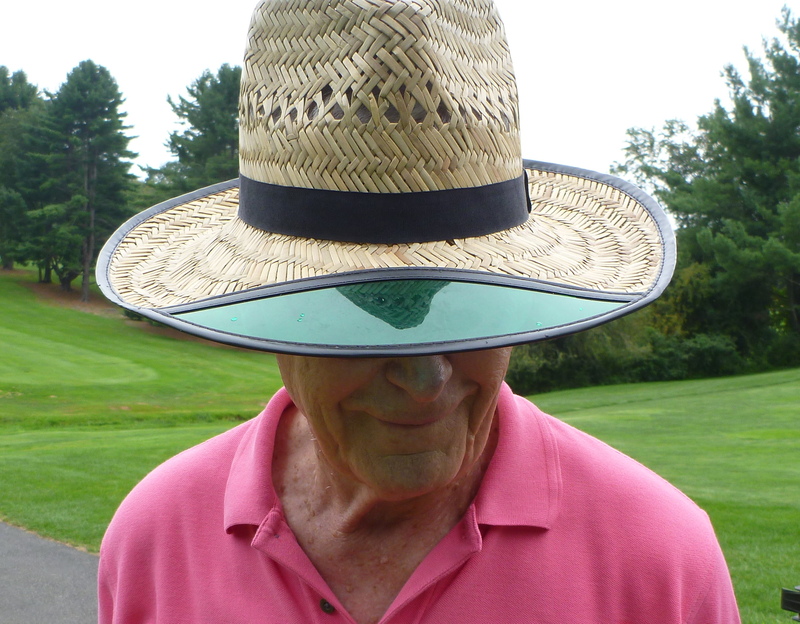 This entry was posted in Accessories, Sunday Morning Group and tagged golf hat, sunglasses by David Owen. Bookmark the permalink. Tough to keep one of those hats on your head when the wind blows, and down here in New Zealand its pretty constant. I’ll have to check with Schoony. I don’t think he invented it–but that’s not impossible. The man has depths.